Like everything in life, you don’t want to waste time waiting to kick into ketosis. I get it! 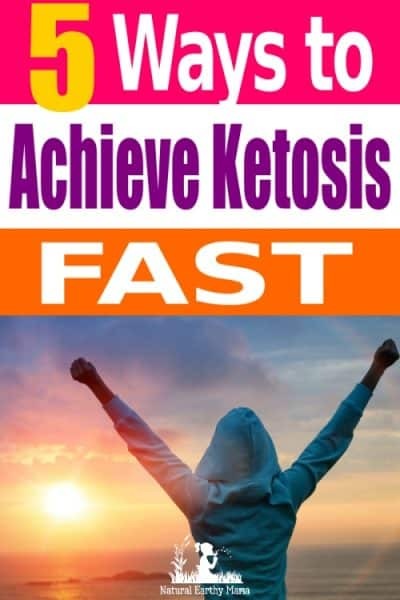 Here is how to get into ketosis very quickly and easily without hassle or stress. Before we begin let’s talk about what this whole ketosis thing is about. If you know… skip down a bit! Ketosis comes from the Ketogenic Diet, which is also known as the Keto Diet. The keto diet is when you base your fuel source around fats rather than sugars/carbohydrates. On the Keto Diet you need to focus on consuming 70% Fats, 20% Protein, and 5% Carbohydrates. Fat will become your fuel source. Basically, the body can function off of two types of fuel. 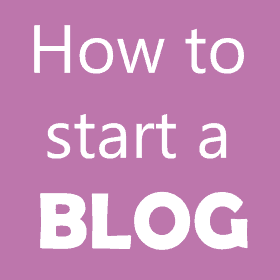 The first is one that your body gathers than sugar and carbohydrates (which turn into sugar). The second is from fat. This fat source needs to be from a healthy natural fat source. When your body uses fat as fuel, it makes ketone bodies, this is called Ketosis. This is a very effective way for your brain and cells around your body to function. Did you know that your brain and cells are made up of fats? This is why they love fat so much. Yes, your brain loves it when you eat fat! What does ketosis actually look like? We have a comprehensive guide on how to check if you are in ketosis. Check it out here! 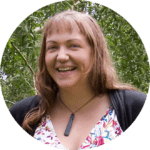 You can also get keto strips that can support you to understand what stage of ketosis you are at. These ketone strips are simple to use. So you are perhaps thinking of starting the keto diet or you may have started but struggling to get into ketosis? Kicking your body into ketosis the first time can be very difficult. Your body is so used to fueling itself through sugars and carbohydrates that it will crave these types of foods. This is not your body rebelling against your new diet. This is your body kicking into survival mode. It does not know that you are trying out a new diet or way of eating. It only knows that it doesn’t want to die, and that it must survive. You will need to push through these ‘survival’ feelings and cravings for carbohydrates and sugars. You will need to train your body to use the new fuel source. Ok, Hit me with the Facts! 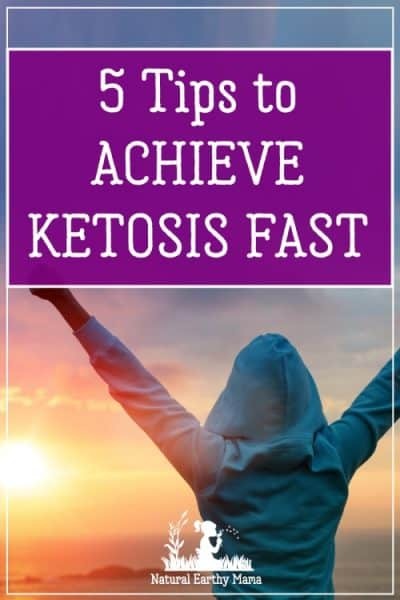 How do I get into ketosis quickly? Righto, straight into it. What changes can you make today to get into ketosis quickly. This is likely to be an obvious first step if you know a little about the Keto Diet. Fat is certainly the key. Now, the thing is that some people under estimate the amount of fat that is needed. It is likely to be slightly more than what you think, especially when you are adjusting your fuel source. The type of fat is also vital to get right. There are some fantastic healthy fats that you can use that will kick you into ketosis quicker than others. RELATED: Won’t the fat give me a heart attack? Avocado is likely to be the best fat that you can use in the first few days of trying to achieve ketosis. This is because not only is it full of healthy fats, it is also full of nutrients. These nutrients will increase your electrolytes and general health. You can use both fresh avocado and avocado oil in cooking and salads. As your body adjusts to having no carbohydrate or sugar to burn as fuel, your body will be in survival mode looking for a fuel source. What you don’t want is to eat too much protein in these first few days as your body may assume the protein is the new fuel source. This obviously will not be good. You want to eat enough fat that your body knows that this is the fuel source to use. This will require you to track your macros. This is important to ensure you are hitting your fat targets. Yes, you guessed it. Your carbohydrates need to be extremely low to kick into ketosis quickly. When you reduce your carbohydrates to a low level you are immediately telling your body that this is no longer the fuel source. This can be quite a shock to your body depending on how heavily you were eating carbohydrates before starting keto. If you are concerned in a dramatic change in diet, please seek medical advice before doing this. Carbohydrates are actually in a LOT of foods. So it makes cutting carbohydrates to zero very, very difficult. However, you can easily limit these for the first few days. For example, if your target is usually 20 net carbs for example, you may cut to 10 or 12 for the first 2 days to really give your body a kick start. Again, seek advice around this if you are a diabetic or prone to low blood sugars. During this phase it will be very important to be checking your food labels for hidden carbohydrates. I use Carb Manager and this allows me to enter my food and see how many carbs are in them. This is how I track my carbohydrate intake. This is honestly the toughest bit for many, many people. We are very addicted to sugar and our bodies crave it. This is the time that you MUST break your sugar addiction. It is hard, but you can do it. Heck, if I can do it.. then you certainly can! I was totally addicted to sugar before I gave it up. I mainly drank my sugar intake through cups and cups of soda. When I quit sugar I had bad withdrawal, twitching, upset stomach, shaking hands. The positive to all of that is the renewed energy you get when you no longer fuel using sugar. It is incredible. When you are quitting sugar to get into ketosis quickly, this means you need to cut all sugars. This doesn’t mean switching to diet soda and adding coconut sugar instead of white sugar. To get into ketosis quickly, you need to cut out ALL sugar. This can be really hard especially if you were highly sugar dependent. As above, we would suggest seeking medical support if you are changing your diet. Reading food labels is really important for this step. Sugar gets hidden under many, many different names. Get to know these, and monitor the foods you are eating. Another hint is to avoid all “low fat” foods. Most (if not all) low fat foods will have sugar added to them. This is because sugar and/or fat is used to flavor food. So, if they are cutting the fat out, then sugar is needed to ensure the food tastes good. You want to be eating full fat foods. When we move, we burn fuel. This means that exercise is a fantastic way to use up all the left over sugar based fuels so that your body is ready to start using the fat as fuel. Using exercise during your adjustment period is very tolling on the body and it is not for the faint hearted. It will cause your body to crave carbohydrates and sugar in double time. Seek medical support if you are doing this, everyone’s body is different so you need to understand what your body can handle. Weight lifting and strength lifting are great way of building muscle during this time. This will help your body to understand that you are not asking it to use the protein as fuel. It will tell your body that you need the protein to build your muscles. Remember, the more you burn then more fuel you will need. The more fuel you need, the quicker your body will adapt to using fat. I know that this is sort of the opposite to tip four, but both are just as important. Your body is working on overtime as it is adjusting to its new fuel source. This is a big adjustment for your body so it is important to listen to your body and give it rest when it needs it. Sleep is just as important. You need to get a full night sleep so your body has time to recuperate from the big changes that it is currently going through. This is totally dependent on your commitment and your own body.